By now you know about this gentleman, this gentleman, and this lady. Now, let's introduce you to Dennis Griffin and Thomas Linville. These fine gentlemen from Lee County, Florida, have been cited for engaging in sexual acts with their dogs. 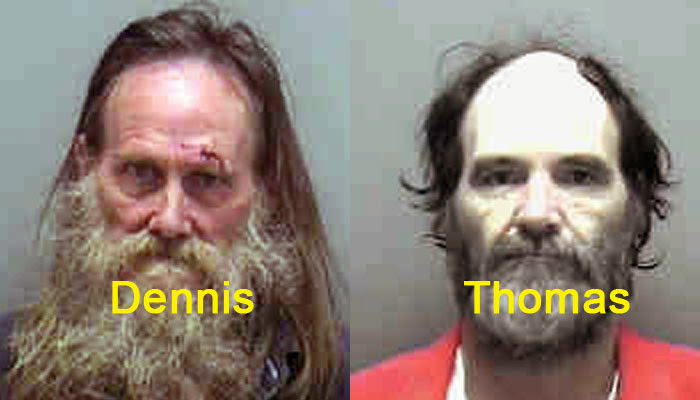 According to authorities, Dennis, was finally cited for boning his dog last October and Thomas faced charges for boning his dog on July 20, 2013. Both sickos face fines of $500 and $1,000 and up to one year in prison, if convicted. Sidebar: We thought the local news doesn't photograph sexual assault victims. Then why -- oh, why -- are they broadcasting that poor dog's mug over the air.